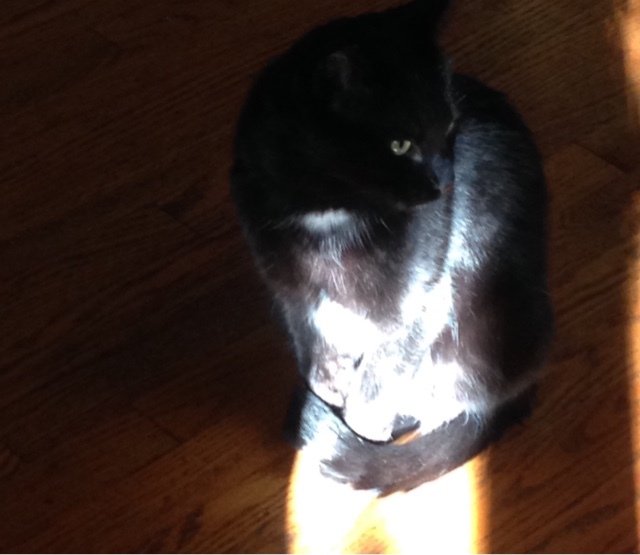 This is our new Halloween black cat named Booker sitting in the sun. 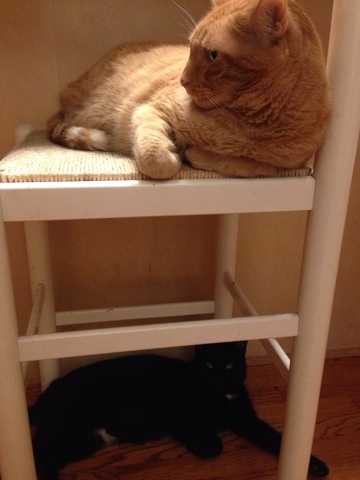 Orange cat Rusty and black cat Booker in a rare peaceful moment. They're still getting adjusted to each other. Hissssss, meow!